As has happened with many notable Sonic titles through the years, Sega has elected to release a formal soundtrack for Sonic CD this year. The twist is that while the domestic tunes saw a limited release through Sonic Boom, the international soundtrack never saw such treatment. The Sonic CD Original Soundtrack 20th Anniversary Edition will be the first proper OST release for the Japanese and European music. 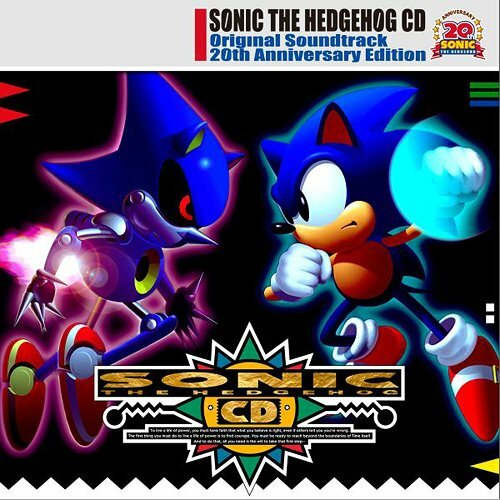 There’s no blatant word on if we’ll see extended cuts in this soundtrack, but the Japanese description lists the disc as the “first complete recording of the complete edition.” It is a must for any Sonic music aficionado, as the tunes are widely considered among the best of the past 20 years–a huge achievement considering the game was released in 1993. Our import partners at CDJapan are offering the soundtrack for pre-order now. It releases November 23rd and can be purchased at the current exchange rate for $29.58, plus shipping. Thanks to BlastedPinata for tipping us. If you have news to share, be sure to share it with us by clicking Send News Tips at the top of every page. You can also tip us on Twitter.